According to Finanz, President Trump is close to making oil prices drop down to $50/b like never before. Last week was bearish for the global market of crude oil. This happened mainly due to the agreement between the U.S. president and the King of Saudi Arabia. According to international experts, the market of crude oil is currently on the verge of big price moves. In particular, they think there are several factors that can make the oil prices drop all the way down to $50/b. Even though the oil prices are currently recovering a bit and may well continue recovering in the near future, they will eventually go down at some point until November. This prediction has to do with the expectations related to the Cushing oil hub. The thing is that a breakdown in the hub resulted in a massive shrink in the U.S. crude oil inventories (around 70%) all the way down to the lowest capacity since 2014. The capacity is expected to be completely restored closer to November. At the same time, President Trump urged the OPEC to contribute to pushing the oil prices down. The talk between the U.S. President and the King od Saudi Arabia seems to have changed the market bias. Saudi Arabia has been increasing its daily oil production up to the record-high level over the last 4 years along with dropping the export prices for the last 2 months. They say, Saudi Arabia's export capacities make it possible to ship 15 million barrels of crude oil a day. Given the speed at which technology has been developing so far, it would be easy to increase the daily production by 2 million barrels a day, which may drop the prices all the way down to $45/b. At the same time, experts say that Trump is ready to use the USA's strategic oil inventories to achive his goal by exporting even more oil. His administration is already working on it. It's important for him to make the gas in American gas stations cheaper by November when the U.S. Congress preliminary elections are to take place. This is expected to help the Republicans to preserve the majority in the Congress. As you probably know, the U.S. stock market has been in the red zone over the last few weeks. International experts assume that this downtrend is likely to continue in the first quarter of 2019. The key reason is the fact that really huge volumes of risky assets are under the risk of forced sales, Market leader reports, with reference to Forbes. The past trading week was a nightmare for the global market of crude oil, with a major price crash. In particular, Brent oil dropped in value all the way down to the lowest price since July 2017. This was a dive below 53 dollars per barrel. Since then, international experts have been trying to figure out the reason for that. As you probably know, the participants of the latest OPEC summit agreed to cut down on their oil production next year. 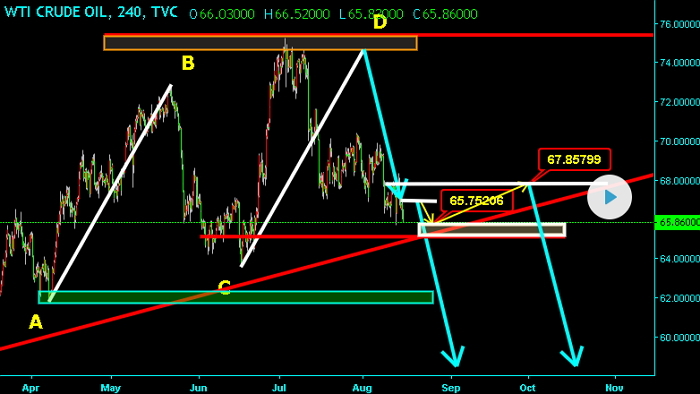 This triggered a temporary price rally in the international market of crude oil. International experts and governments have been closely watching the drama going on in the international market of crude oil. According to The Wall Street Journal, Saudi Arabia is going to quit the overproduction of crude oil for the sake of preventing oil prices from going down any further and, if possible, backing their new growth. Market Leader reports that the global market of rude oil has been seen a prolonged downtrend after a pretty strong rally seen over a couple of months in a row. Not so long ago, a barrel of Brent oil used to cost 86 dollars. At this point, it costs just 70 dollars. Still, the Russian authorities don't seem to be concerned about this price drop at all. Experts say the see no reason to worry about the situation. Apple's market capitalization has dropped below 1 trillion dollars. Market Leader reports that this summer, Apple became the world's first company to reach such a stunning result - market cap over 1 trillion dollars. Apparently, all of that became possible due to higher Apple stock prices. The amount of political and economic crises keeps on growing in the world but gold is still going down in value. International experts have been trying to figure out the reasons why contemporary investors are investing in other assets instead of gold as it used to be ages. It's interesting to note that they are mostly investing in dollar assets. The trade war between the United States and China is still underway. Earlier this month, America made another attempt to undermine the Chinese economy. The thing is, that up until recently, America used to be one of the biggest exporters of crude oil to China. In summer, the U.S. export of crude oil to China used to be equal to 10,5 million barrels a month. At this point, America has almost suspended the export of crude oil to China. Last month American oil companies shipped as little as 600K barrels, with no oil shipping planned for this month.